December at Beaumont started with a flurry of gifts from Santa. Each teacher picked a present from Santa’s helpers and was given the challenge to use their present during a lesson in December. Below includes some of the wonderful ways these presents were used and includes a range of ideas which can be applied to other lessons and other subjects. In music the bright coloured stars were used in essay planning. The big stars represented the basic points, the small stars were used for examples and the medium stars were used for other aspects that would make the essay successful e.g. structure. With the spare starts the students played guess the composer! In a Biology Year 12 class students had 3 pieces of coloured paper and wrote down a question on each worth 1,2 or 3 marks. Students used the clothes peg to peg the questions on the line. Students then picked a set of questions form the line and answered the questions on the back of the pieces of paper. The questions were returned to the original student and marked. In Maths the teacher explained to the class that the mask was a symbol of showing that the person is scared from Maths. So, instead of hiding behind the mask the students were encouraged to join in and be at his or her best. In German students had to hit a number on the grid then go to the numbers on the floor and write the most extended sentence they could in German on that topic. Four £10 notes were given to the longest answers that used everything we’d done this half term. In Literacy Support the coloured pens were used by the students to improve and comment on a piece of written work. The green pens were used for ‘polishing’ and to add punctuation, the red was used to highlight a brilliant opening or use of key words and blue to identify connectives. The pink pen was used to identify something the students needed to work on. In Science the bubbles were used to explain the process of convection. In Music the mini cups and medals were awarded to students who had completed the best improvisation. In Spanish the poster was used for revision of body parts. Students wrote down the key body parts on Post-it notes and then came up to the poster and stuck them on in the correct place. In English the ball of wool was used to represent the connections between different events in the text (Bog Child). The web allowed students to identify some insightful interpretations and enabled them to understand the complexities of the text. In Science the Playdoh was used by Year 11 to model enzymes. In Year 8 Spanish the students had written poems about their teachers and subjects. When they were read out the students shook the pom poms every time they said something which touched on the grammar they had been learning in the last two lessons. The notes were used in Maths to help with a lesson calculating percentages. The students had to complete a variety of exercises working out the different percentages of £20 and the napkins were given as prizes. Santa visited Beaumont during its morning briefing today to hand out thank you presents to staff for their hard work over the last term. A squeaky pig, foam sword, wool, glow sticks… the list goes on! Santa asked that everyone use their new present in a lesson before Christmas, and take a picture of it to show Santa what they have been up to! Email pictures to santa@beaumont.herts.sch.uk before the end of term. The first Beaumont Teaching and Learning Bring and Buy of the year took place last Monday during lunchtime. Fiona Rosler organised the event and asked staff to send some of their tried-and-tested resources. Everyone who visited the Bring and Buy made a shopping list of resources to test out, and placed their Beaumont Buck next to their favourite resource. The resources available ranged from PE to Languages, from Art to Science and all subjects in between, and covered revision, differentiation, marking strategies and much more. Congratulations to Helen Skelton who received the most Beaumont Bucks for her revision activities resource. To see all of the resources from the Bring and Buy, either follow this link to Dropbox or visit our Bring and Buy resources page. You could also read more about our Bring and Buy format here. Thank you to everyone who contributed, and look out for our next Bring and Buy in the Spring term. 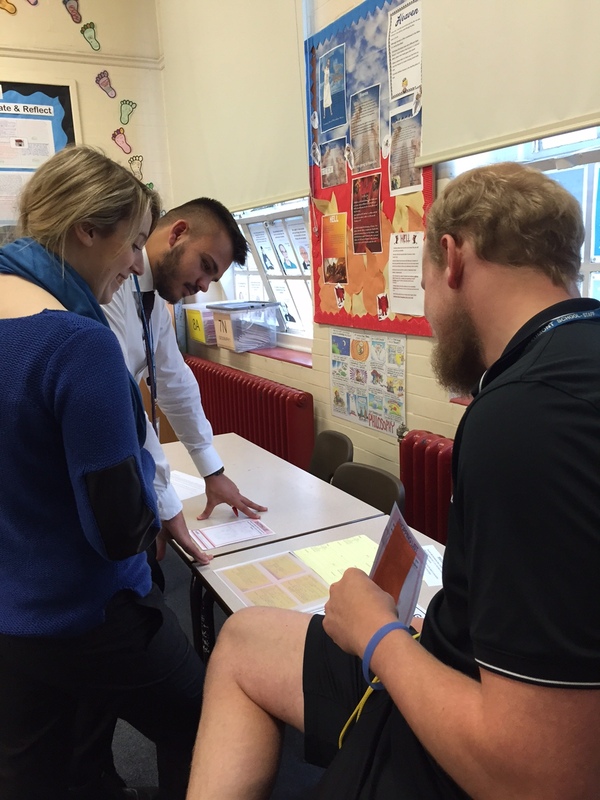 On the last Wednesday in May, our final T&L INSET for 2015/16 was a celebration of all the wonderful work in Teaching and Learning which has been happening around the school, in all subjects, throughout the year. We held a “Teaching and Learning Marketplace” where each subject had a “stall” to display their wares – ideas, resources and tips which they had found to be particularly useful over the past year. 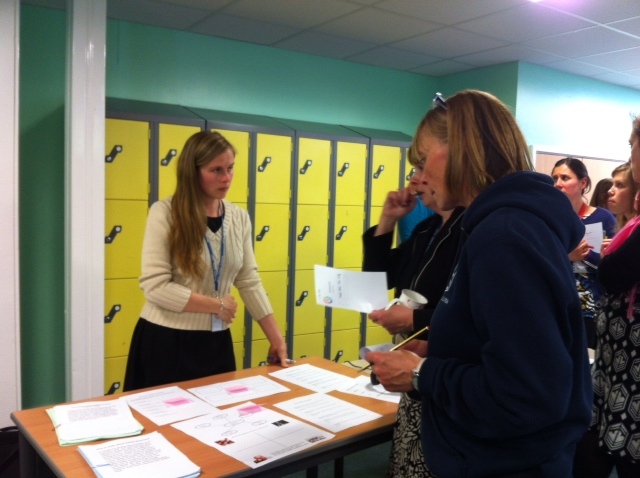 There were some lovely resources on display, which are easily adaptable to a variety of curriculum areas. These are all available here for you to download. As usual there was a really nice buzz around the room as teachers shared their ideas and took the opportunity to discuss how techniques could be made to work in different contexts. Everyone completed a slip of paper before they left, indicating their favourite three ideas or resources – someone will have the lucky job of working out who wins the prize for the most-voted-for idea. The appeal of the Teaching and Learning “Bring and Buy” doesn’t seem to fade. (read all about the format of the first one here). This time, Zoe Shepherd requested staff to send any useful revision resources they had used or created which could then be shared with the staff who popped along to Room 6 at lunchtime. The “Beaumont Buck” given to all staff in their pigeon-hole was placed in the envelope of their favourite resource of the day, and everyone who attended completed a shopping list of the resources which they would like emailed to them later. Links to the resources shared are included here or in the resources section on the homepage. 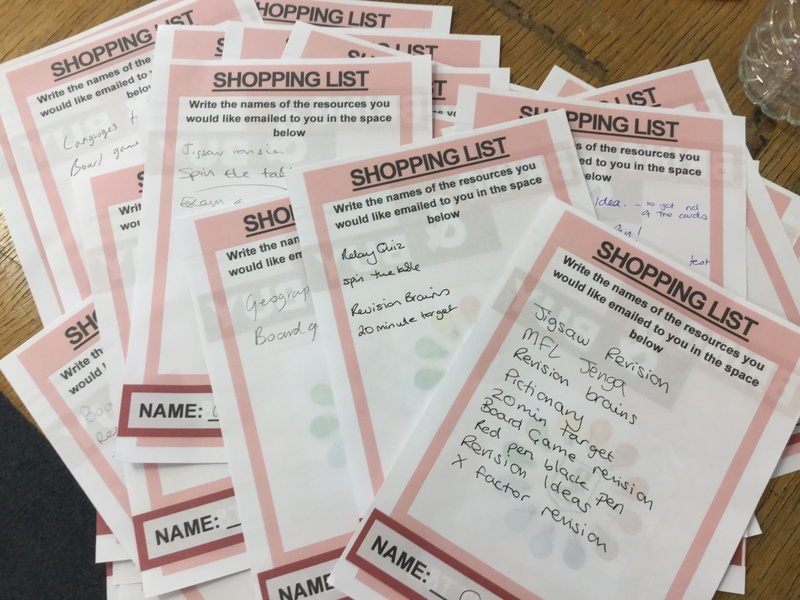 Using the same “Bring and Buy” format we adopted in November 2014 (read all about it here), staff again popped along to Room 6 to look at resources created, found and shared by other staff from a range of subject areas. The “Beaumont Buck” given to all staff in their pigeon-hole was placed in the envelope of their favourite resource of the day, and everyone who attended completed a shopping list of the resources which they would like emailed to them later. Links to the resources shared are included in the resources section on the homepage. After its success last year, the Beaumont Teaching and Learning advent calendar has been re-vamped, given a new look, refilled with a bundle of new T&L treats and is ready to go. 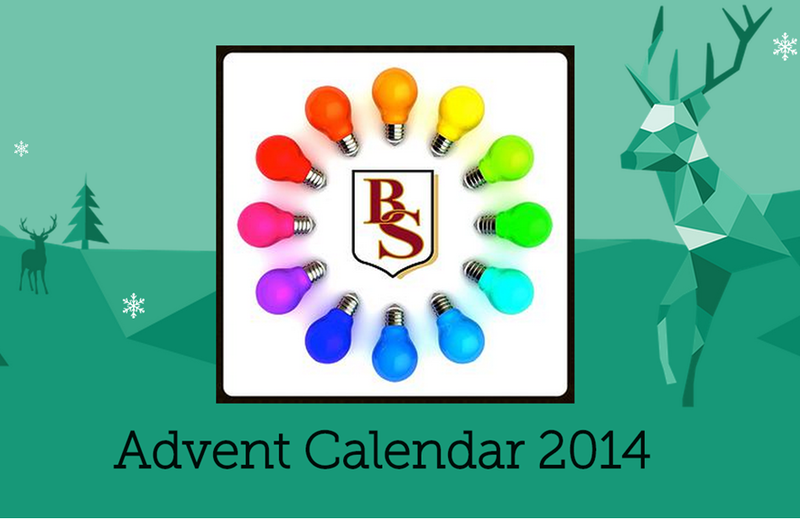 Visit the advent calendar (by clicking on the link below) every working day in December and a new window will open, revealing a teaching and learning idea or resource which you can use in your lessons. How many ideas will you be able to use or adapt over the next three weeks, or perhaps you want to save a few treats to brighten those dark January days after Christmas? Let us know what you have used and how successful it has been. You can send us your photos or how you have adapted the ideas by tweeting @beaumonttl or by adding a comment to this article. We will post some of the best ideas next year.